Apple also hasn't said whether you can replace a built-in app with a third-party app. Apple’s jam-packed WWDC 2016 keynote showed off some brand-new apps for iOS 10, like Home, Breathe, and Swift Playground. 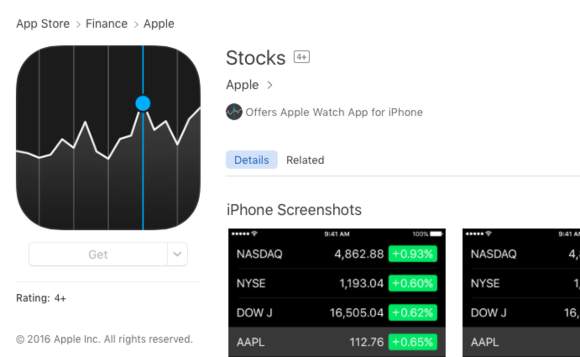 And then Apple released some very familiar apps into the App Store, like Stocks. Of course, those are already on your iPhone—they’re on every iPhone—so right now the GET button is grayed out. But according to Apple, in iOS 10 you’ll be able to hide them from your home screen, and then reinstall them from the store if you want to “unhide” and use them again. Be warned, Stocks. I’m ditching you as soon as I can. 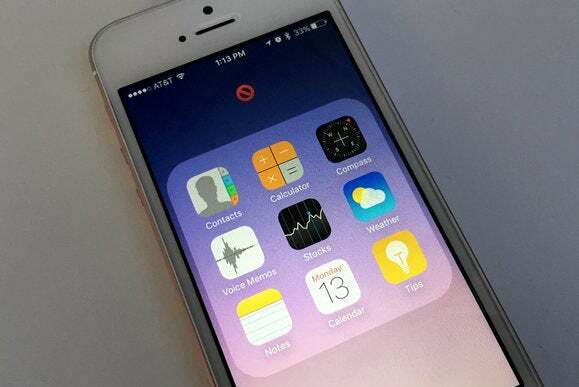 Not every app will be deletable—Apple’s page has some more details as to how it’ll work. If you delete the Contacts app, for example, your contacts will still show up in the Phone app (which is probably where you use them anyway). But the iPad doesn’t have the Phone app, so you can’t delete the Contacts app from your iPad. And if you remove Stocks or Weather, you won’t be able to see their widgets in Notification Center. But not every scenario is spelled out just yet. Deleting the Calendar app, for example, would leave a huge hole not just where that icon goes, but all around the OS. Could you tap on dates or invitations in Mail messages and add them to a third-party calendar app? Or would you start living a dateless, unorganized existence where you’re just blowing with the breeze, man? Being able to designate certain third-party apps as default choices for things like mapping, email, calendars, and contacts would be a huge step forward for iOS—it’s something we’ve envied about the Android platform for years. That doesn’t mean it’s going to happen in iOS 10, though. These apps might still be the defaults, but Apple will update them independently of the rest of the OS. We’ll keep an eye on this as we tear into the developer and public betas of iOS 10, which launch far and wide this fall.